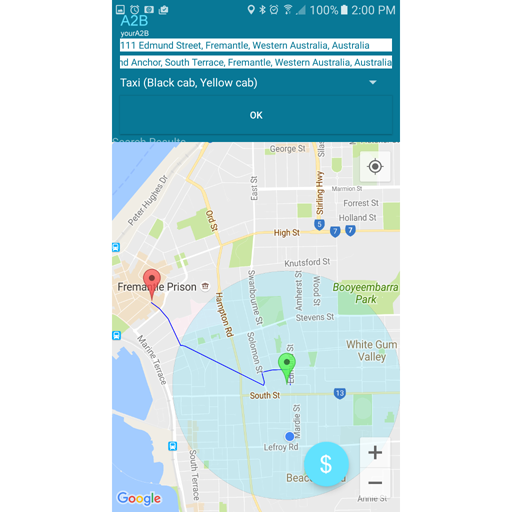 "The real cost of being taken for a ride"
Just arrived in a new city and don't know where everything is. So how much should that taxi journey really cost? The idea for yourA2B came about whilst backpacking around India last year. India is a fantastic country through which you can travel vast distances by train. Imagine arriving in a new city late at night at the railway station and having no real idea of how far away your hotel is, or how much a taxi or autorickshaw might cost. So wouldn't it be great if I had an app where I could just type in where I am and where I would like to get to. Then I thought, this won't really work as only a few travellers would use it. Then I thought again and spoke with other people who said things like. "What if I was travelling to London and had to get a taxi, I would have no clue how much that might cost. The app would still be really useful"